Making relocation easy and hassle free is all about how much you are organized you are in your approach. There are a plethora of things that you will need to take care if you want your move to be a stress free, hassle free, organized and affordable. 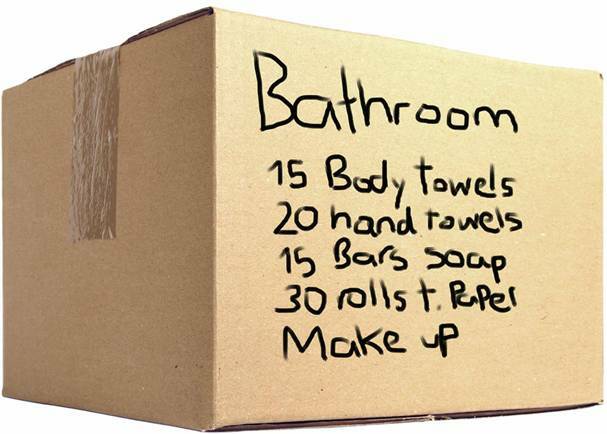 Knowing exactly how to label your moving boxes is one of those things that you need to include in your list. 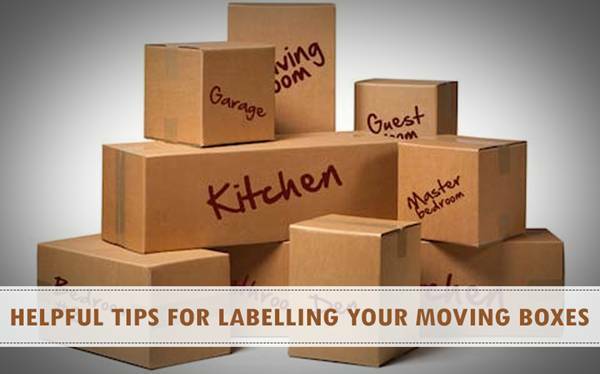 If you want to learn a structural way of organizing your move, you will need to understand the most perfect and well tested way of labelling moving boxes. Markers of fine quality: The most important thing for labelling your moving boxes is markers and that need to be of the fines quality as that will be used to mark your boxes. Colourful Marker Pens: It is very important that you arrange for colourful labelling pens that will be used for making differentiation between the items in different parts of the home. Coloured Tapes: There may be a plenty of colourless transparent tapes lying in your home but if you want it to look more organized and neat organizing coloured tapes will be the perfect idea to go for. It will help in better identification of the goods when you reach to your new home. Labels: You can find them even over internet. There are a number of labels are available that can easily be downloaded and printed from the internet and can be used. Or, you may also buy them from any local shop. These labels will already have printed names of the rooms and all you will need to do is to put in the names of the items therein in the box. This is quite an interesting and helpful idea to make a clear identification of the goods that belong to each of the rooms. 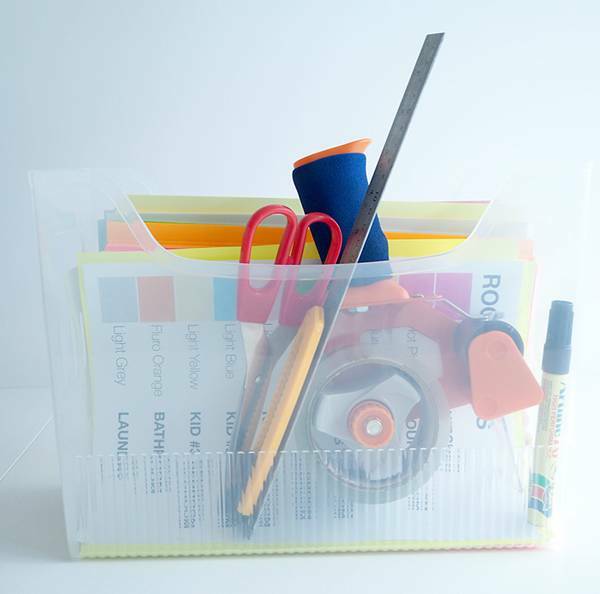 Colour coding helps in making it simple for you at the unpacking end! All you have to do is to choose a specific colour for each of the rooms and then label all the boxes with the same colour for identification. You may for instance give your kitchen the red colour code! Now all you will need to do is to use only the red marker pen and red tapes for labelling up the boxes that belong to kitchen. You just have to use one colour for each of the boxes. 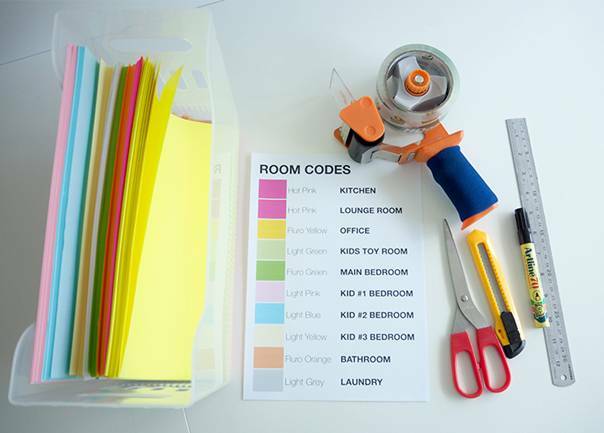 Decide the colour code for each of the boxes and if possible put an identification mark with the corresponding colour code for each of the rooms in your new rooms before you move in. That way you can easily make identification of the fact on which boxes belong to which room. You may also make use of number codes instead of the colour codes that way you will not need to mention the contents of the boxes onto it instead you can maintain a separate inventory out of it. You will need to give a unique number to each of these boxes. And, then there will a master inventory list that will contain the content details of the boxes. 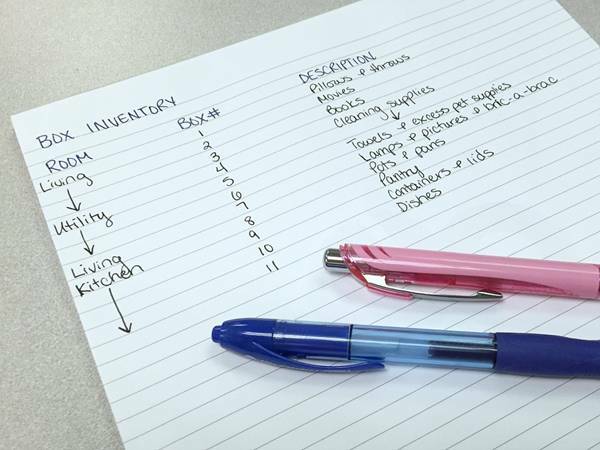 For example, you can label the boxes that belong to the kitchen with number 1 and then maintain the inventory list of the items contained in the box. On the three sides of the box you will just have to write Kitchen and 1. This way while you could be able to identify where to land up these boxes in the new home, the inventory list will tell you about the contents of the boxes. There are a number of things that one need to know if they are planning to move their household and one among them is the best way to label your moving boxes. Here are extra secrets that must not forget to know before you finally decide to move into your new home. Labelling timing is also one of an important aspect of packing your goods. The best to label your boxes with the contents and the destination room is when you have completely done with packing the same. This way you will save a lot of your time because if you will dec8ide to do the labelling job at the end of packing boxes, it may be that you will forget what’s inside and you will have to spend extra time exploring the same. You have to actually be extra conscious if you have taken up some of the second hand moving boxes because they may have their previous labelling and that can create confusion for you at the end. So, you can either be smart enough to glue your labels at the same place of the previous labelling or you may also glue over them old stickers or labels. It is way may better to hire professional moving companies to get your moving boxes ready. They actually have all the required expertise to do it all without getting into any mess. They will take care of the safety and security of your goods and you will not need to worry about every little thing.